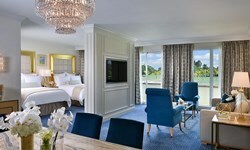 Trump International Hotel Waikiki - Wedding Venue and Packages | The Future Mrs.
Trump International Hotel Waikiki is a stunning setting for your Honolulu wedding or special event. 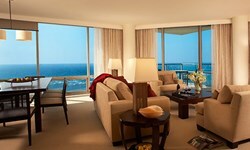 With our inventive cuisine, lavish suites, and The Spa at Trump at your disposal, your guests will be enchanted. Our panoramic views, exceptional service and professional staff will help customize the occasion into the affair you've always imagined and never will forget. 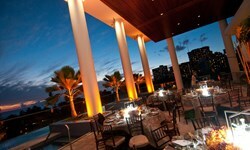 Trump Waikiki is a unique venue. 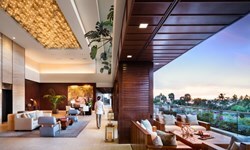 All of our reception areas are an open-air experience that is sheltered from the elements. Instead of the usual ballroom settings, we offer an elegant, outdoor balcony feel with spectacular views of Waikiki, amazing sunsets and a beautiful fireworks show on Friday nights. 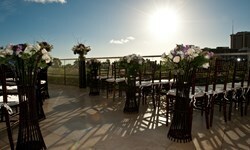 Our wedding ceremony is held on the Terrace, which overlooks Waikiki Beach.